On December 2, 2015, fourteen individuals were killed and many others wounded during a shooting at San Bernardino’s Inland Regional Center, a facility that provided services for the developmentally disabled, as reported by the New York Times. The event was classified as a terrorist attack, and the two shooters, Syed Rizwan Farook, 28 and Tashfeen Malik, 27, were said to be wearing “tactical clothes” and armed with .223 caliber assault rifles and semiautomatic handguns. That same day the pair of suspects, later found to be a married couple with a six-month old daughter, were killed by authorities after leaving the crime scene in an SUV. As detailed by The Los Angeles Times, a search of their residence turned up more guns, some of which were legally purchased, many rounds of ammunition and “19 pipes that could be converted into bombs.” Authorities also data mined messages on Facebook and other online services used by the couple. But when it came to Farook’s iPhone, reports the Washington Post, even the FBI couldn’t bypass the encryption. And despite a federal judge’s demand that Apple assist the FBI in unlocking Farook’s iPhone, CEO Tim Cook just said no. 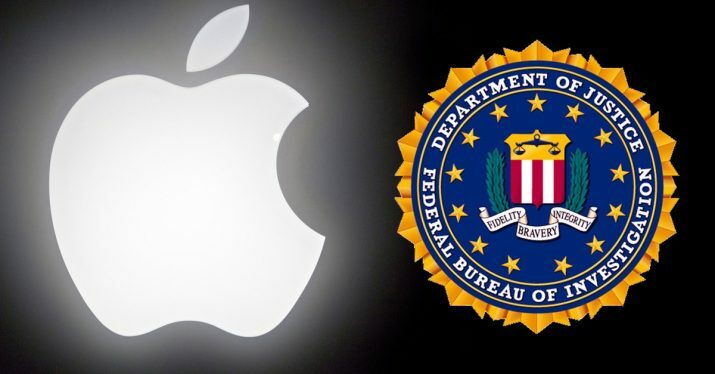 But as this case wound its way through the courts, the FBI didn’t need Apple’s assistance. That’s because, as CourthouseNews.com reports, the agency paid $900,000 to an unknown entity who was able to hack into the iPhone after all. This video shows how they might have done it. The revelation that nearly one million dollars has been paid to an “undisclosed vendor” to hack Syed Farook’s iPhone was only recently disclosed, even though the successful hack took place back in March of 2016. Senator Diane Feinstein revealed this payout during a Senate Judiciary Committee hearing in early May 2017. Was the data collected by the FBI from the iPhone worth the price? According to BGR.com, the answer is absolutely not. In fact, there is “nothing relevant on the iPhone 5c.” There were not any contacts or calls with “third party players,” nor any calls made after the shooting, when the alleged “terrorists drove seemingly aimlessly around the San Bernardino area.” Was the couple paralyzed by the fear and anxiety of being double crossed? BGR.com also adds that during the investigation Apple willingly provided the FBI with all the data embedded in Farook’s iCloud back-ups, and that was still being analyzed. In light of all these discrepancies, there’s no surprise concerning the nearly one million dollars used to hack the iPhone. Maybe that was just one of the short list goals, if indeed this was a false flag event, as Professor Barrett contends. Many questions still remain, and we may never have all the answers.